Perhaps you are like me and you have wished that you could go back in time and spin a radio dial and just listen to and browse the full radio spectrum from another time and place. Our guest on the show, Radio Anthropologist Thomas Witherspoon, is building a website for just such a thing. It’s called the Radio Spectrum Archive and it is not magic, it uses a piece of technology called a software defined radio that makes recording a full spectrum of Shortwave, AM and even FM radio (if you have the computing power to handle the load) a very real possibility. Thomas Witherspoon is also the primary contributor to The Shortwave Listening Post (www.swling.com) so we are going to learn a few things about the wonder that is shortwave radio on planet earth. Click here to download the podcast audio. Click here to listen via Radio Survivor. This entry was posted in International Broadcasting, News, Shortwave Radio, Software Defined Radio and tagged Radio Spectrum Archive, Radio Survivor, Shortwave Radio Audio Archive, SWLing Post, Thomas Witherspoon on November 24, 2018 by Thomas. 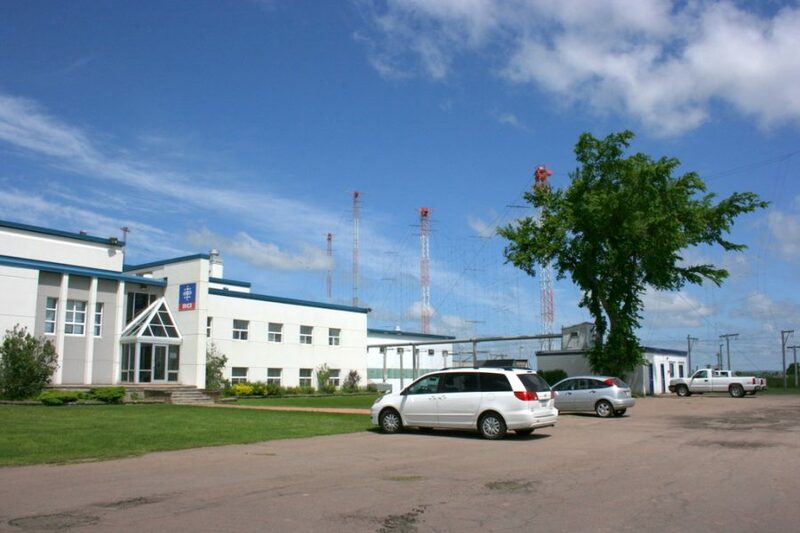 That’s my minivan parked in front of the RCI Sackville transmitting station in June, 2012. The site was closed by the end of 2012 and towers demolished shortly thereafter. Recently, my friend and fellow archivist, London Shortwave, and I engaged in a discussion about creating a curated list of “endangered” shortwave radio stations. The idea being we could use such a list to focus our efforts and those of the archiving community on recording broadcasters that were most likely to disappear in the near future. London Shortwave published an excellent post about this on his blog. Please click here to read his post. We quickly put this page on the Shortwave Radio Audio Archive as a starting point. We need your help to curate this list! Please comment either on London Shortwave’s blog, or on this post, and suggest any additional broadcasters we may have missed. Please include a link to news item(s) which may indicate the broadcaster faces closure. Of course, this list and the categories are subjective–we’re simply using our best judgement in this process. Often, broadcasters can shut down with little or no notice. This entry was posted in Broadcasters, International Broadcasting, News, Recordings, Shortwave Radio, What's On Shortwave and tagged Endangered Shortwave Broadcasters, International Broadcasting, London Shortwave, Radio Archiving, Shortwave Radio, Shortwave Radio Audio Archive, The Shortwave Radio Audio Archive on April 26, 2016 by Thomas.